I fist heard Chick Corea when a jazz pianist friend of mine, knowing how much I loved ECM (I was mainly listening to New Series releases at the time), lent me a copy of this album. For whatever reason, it did not make much of an impression on me. In retrospect, I don’t feel like I was at the right point in my life to welcome such music into my heart. Fast forward some ten years later, and now I can hardly listen to it at all without being overwhelmed by its magic. 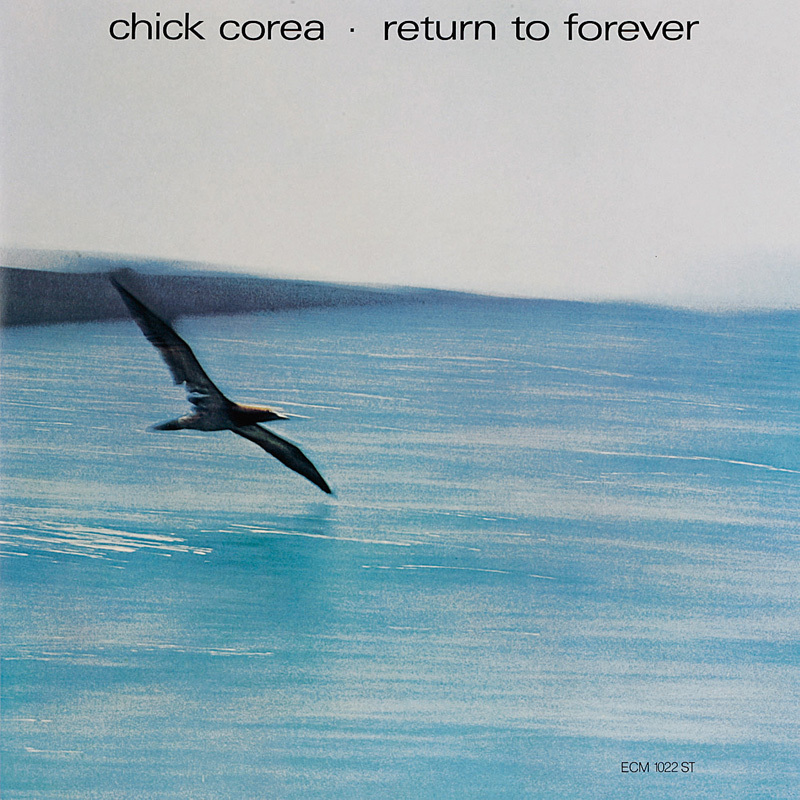 Fresh from his work with Miles Davis et al., Corea forged a new personal direction with this “electrifying” album, the title of which later spawned a super group of the same name that would become a lasting institution, albeit with a roving lineup, through the late 1970s. One can hardly listen to Return To Forever without first noting its distinctive mesh of sound. Stan Clarke keeps things running smoothly on bass, and Brazilian jazz singer Flora Purim gives us evocative (sometimes wordless) vocals throughout while her husband Airto Moreira provides ample rhythmic springboards for Corea’s electric piano acrobatics and Joe Farrell’s windy passages on sax and flute. Each instrument is like a voice in a small choir, and the album has been recorded accordingly. Certain passages, like the well-known “Crystal Silence,” dim the lights with a more trio-like aesthetic, but overall the sound is vast and unified. “What Game Shall We Play Today” puts the spotlight on Purim and is a lovingly arranged song that adds just the right amount of color to the album’s palette. Bookending the album are two epic pieces. The opening title track is actually a series of shorter numbers that flow into one another with such continuity that one almost doesn’t notice the pauses, and closes with some impassioned ad-libbing from Purim. At the other end of the spectrum is “La Fiesta” which, after an improvisatory intro, once again features Purim at the helm, leading the way for some inspired solos from Farrell and Corea. Of all the fine musicians on this set, I cannot help but single out Clarke for his sumptuous bass playing. Never rushed and never forced, his lines thread every needle with unfailing intuition; quite a feat for someone who was only 20 years of age at the time of this recording. Gorgeous cover art + gorgeous music + gorgeous engineering = a truly definitive experience. What more could one ask for? This might be as good a place to start as any for those who are new to ECM.